The Xperia XZ2 Premium has only barely gone on sale in select markets and going up for pre-order in others, but the dual-camera Sony handset is only available in Chrome Black and Chrome Silver. A new report suggests that the Sony Xperia XZ2 Premium will be made in a third color: Chrome Gold. 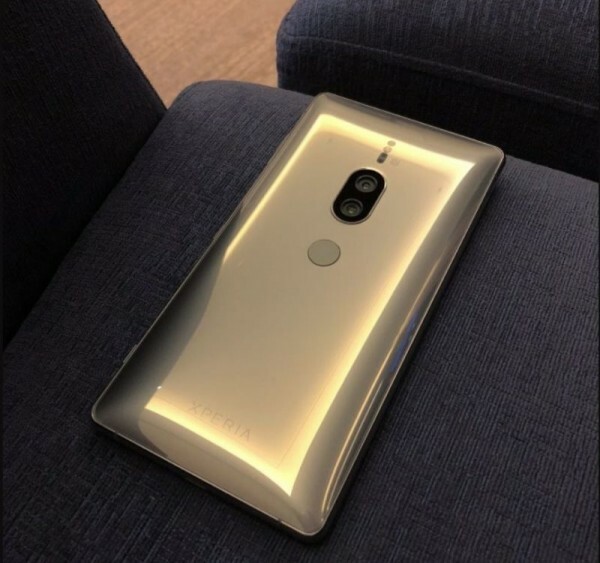 A live image of a gold-clad version of the XZ2 Premium has leaked online. This color hasn’t officially been confirmed by Sony, so we’re expecting it may be announced soon or for a future edition to come well after the phone’s initial release. Of course, the image’s authenticity is questionable at this point, so don’t take this piece of news to heart. The gold color is reportedly believed to be meant for the Chinese market, whose pre-orders open on July 2. Perhaps we will hear something about the Chrome Gold XZ2 Premium before then. The Xperia XZ2 Premium has a 5.8-inch TRILUMINOUS display with 4K resolution and runs a Qualcomm Snapdragon 845 with 6GB of RAM with a 4K display. There is also a dual-camera system on the back, capable of shooting 960 fps slo-motion and 4K video at 30fps. At this time, pricing hasn’t been confirmed.